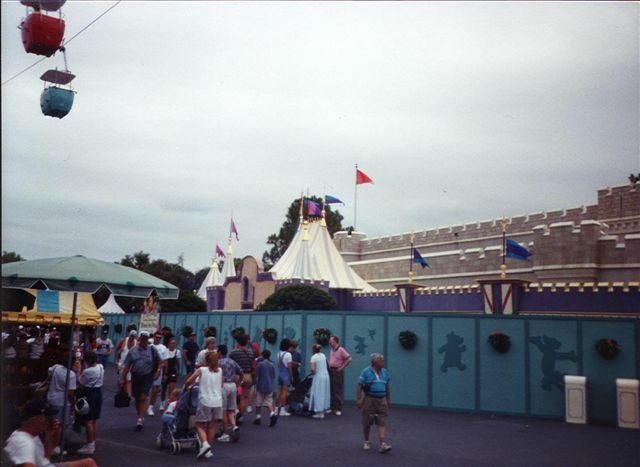 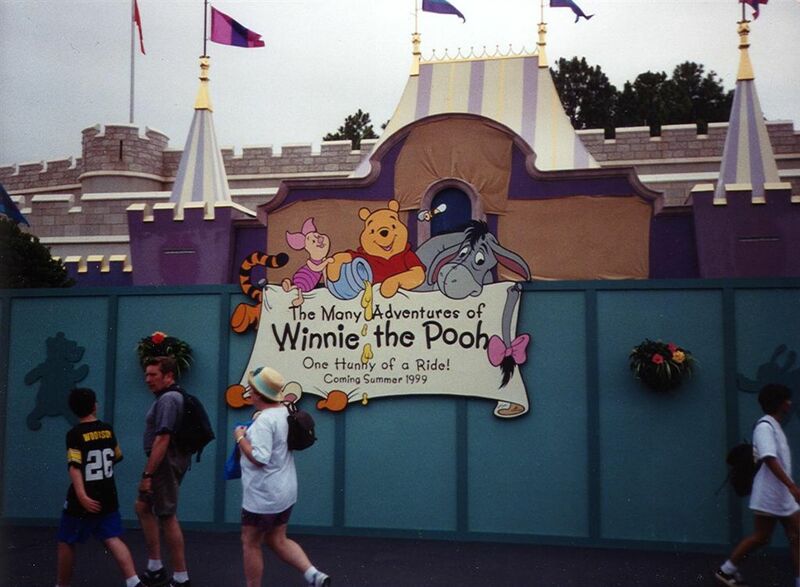 In September of 1997 I bought an annual pass to WDW after my first wife and I took a trip to somewhere other than Disney (a few places around South Carolina that she wanted to visit) I still had a few days left on my vacation (and my Annual Pass) so she said she was fine with me going to WDW. 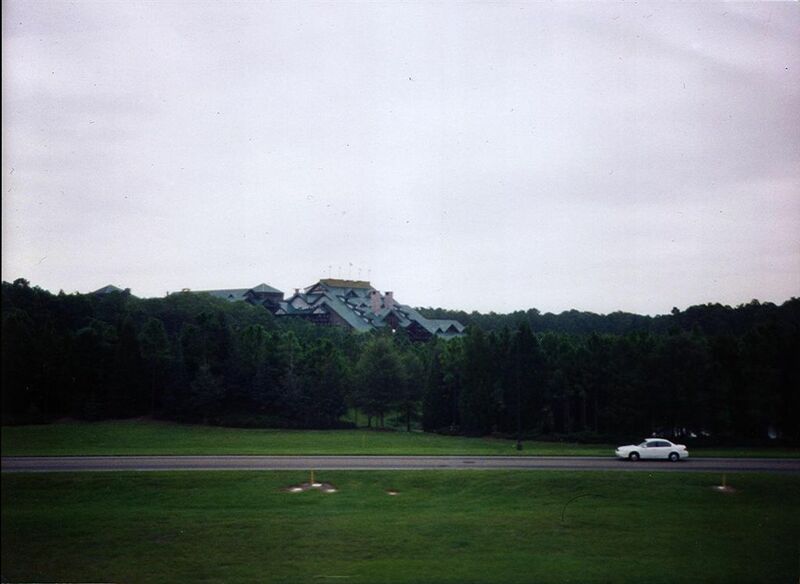 Now at the writing of this trip report that trip was nine years ago so this won't exactly be a total step by step report more of a "here are the pictures" and an occasional "oh yeah that reminds me", when the pictures actually do strike a chord in my memory. I think that I arrived mid morning this trip sort of after the morning rush to the Magic Kingdom. 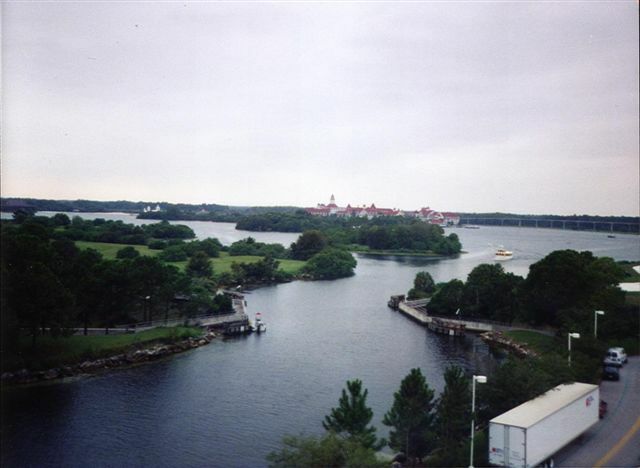 Just in case anyone is wondering the photo above and the ones below were taken from the monorail, and for pictures taken through a window came out quite well I think. 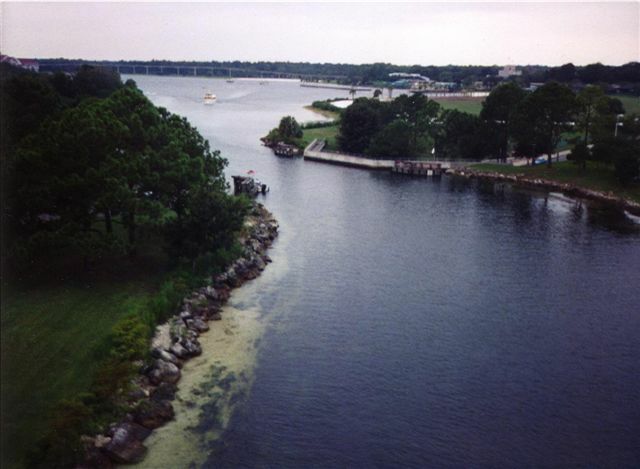 Below: The "water Bridge" at the Contemporary resort, the road goes under the lake just here. 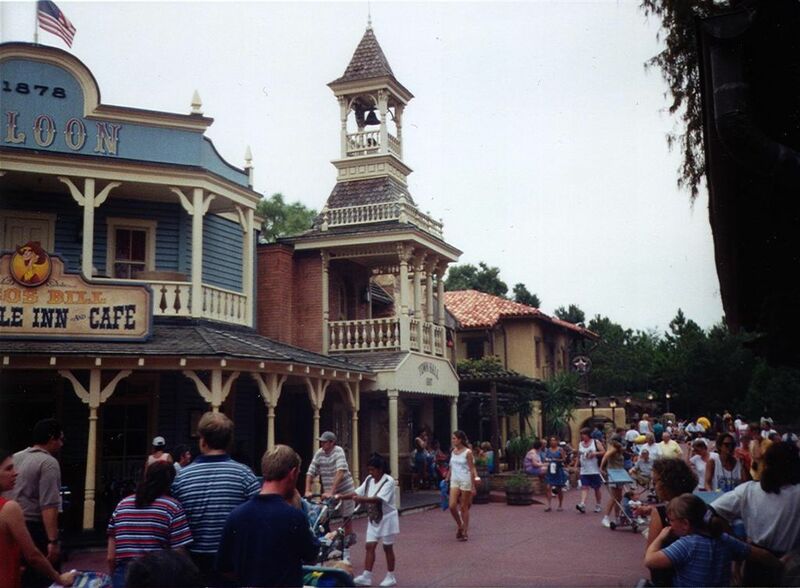 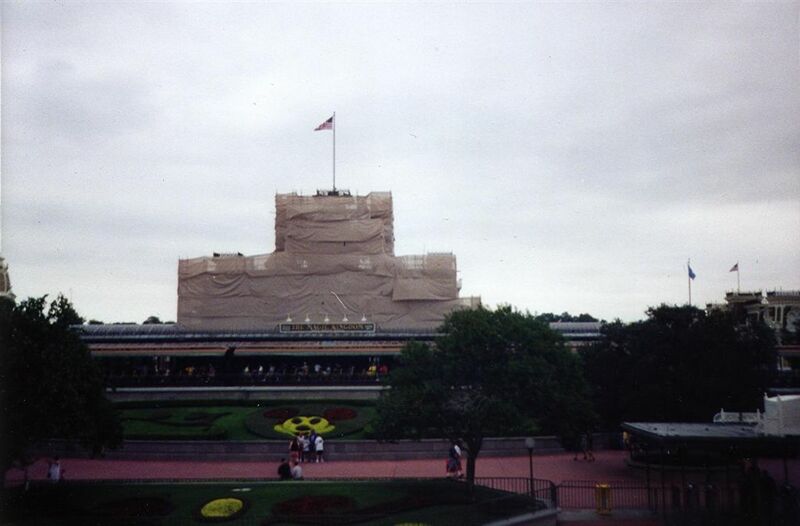 Above: the Train station was under refurbrishment and unlike some later refurbrishment they had not yet went to the use of scrims that actually have an image of the building on the scrim, so it made a kind of odd first impression for the Magic Kingdom. 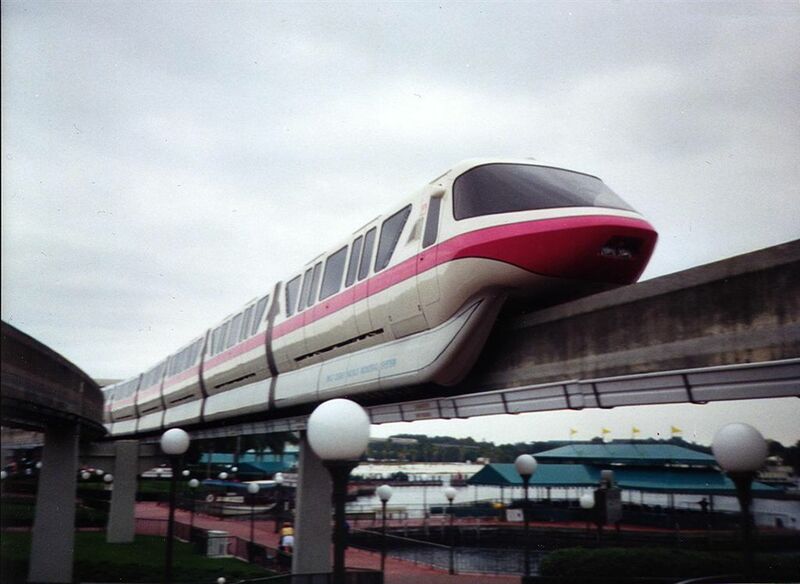 Below: I really liked this shot of monorail Pink. 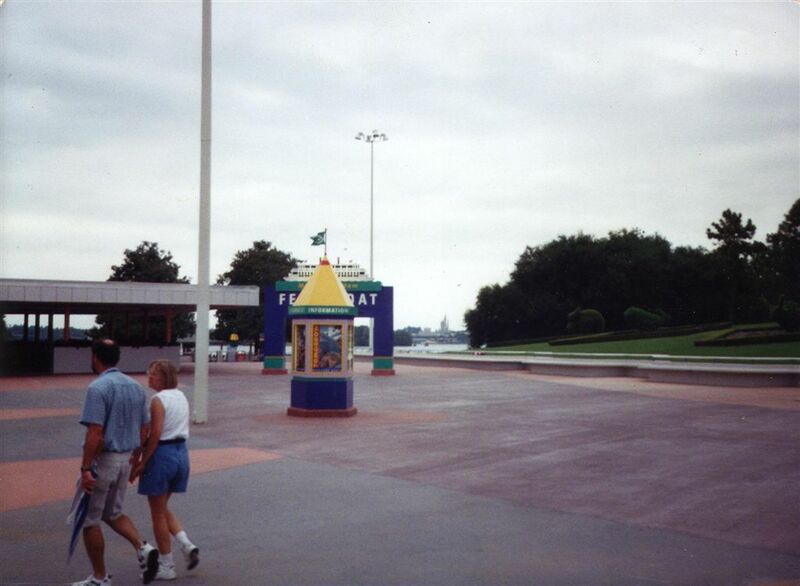 Above: though at the time I took the picture I was probably trying to take a refurbrishment update picture, it may be more interesting now for it's inclusion of the skyway. 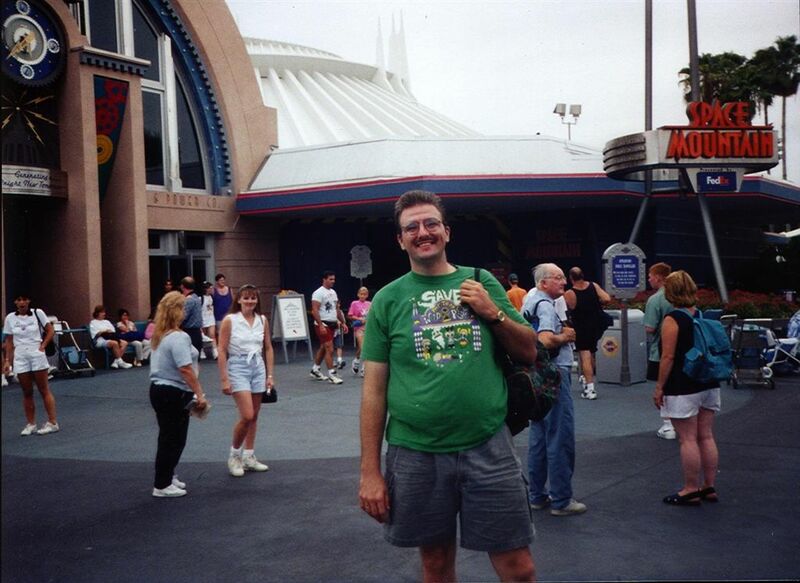 Above: I had hit the things I most wanted to see in the Magic Kingdom, and it became clear in my mind that i really wanted to spend some more time at Epcot this trip so i took this one last photo at Space Mountain before heading over to Epcot (note the "Save Mr. Toads Wild Ride" shirt).